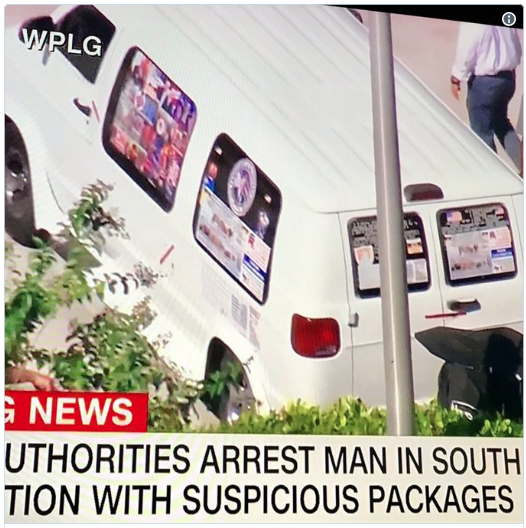 “Suspect arrested in pipe bomb case had right wing Trump stickers all over his van” — Title of article that this photo was taken from. UPDATE: Authorities were seen covering a van believed to be owned by the suspect. Forensic evidence has led federal authorities to arrest a man in Plantation, Florida believed to be connected to the string of dangerous deliveries this week. Twelve suspicious packages were sent to prominent Democratic leaders and celebrities, including two today to James Clapper and Sen. Cory Booker (D-NJ). 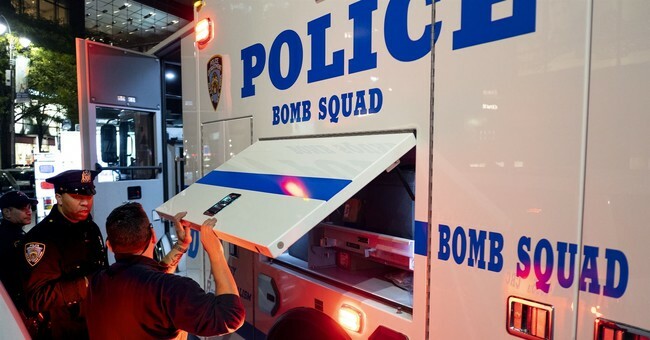 Thankfully, none of the devices have detonated.